Q. 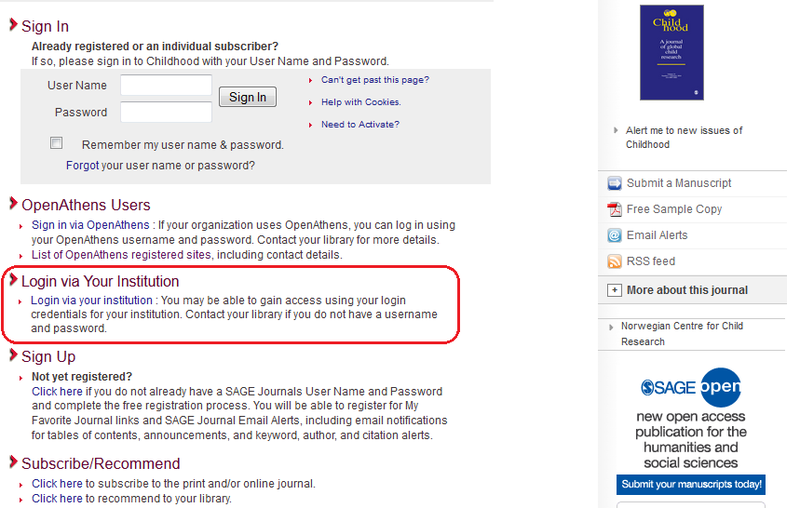 How do I log in to an electronic resource off campus? 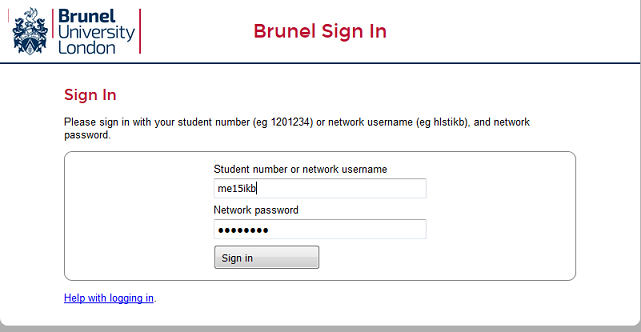 When you are on campus a publisher may not ask you to log in as you will already be associated with Brunel's IP address range (provided the Library has paid for a subscription). 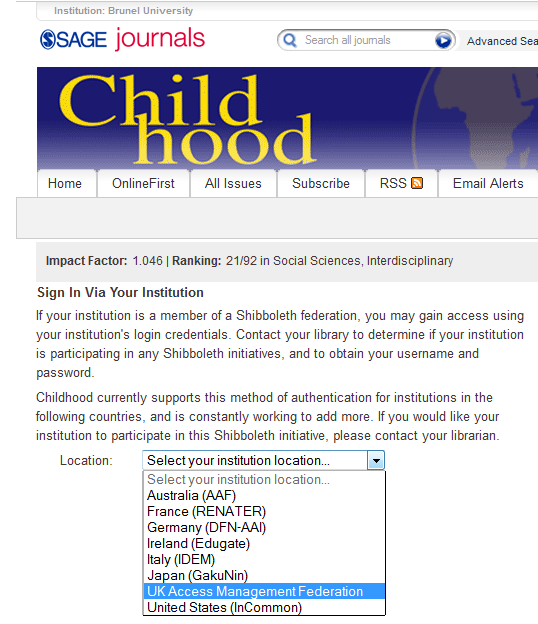 If you are off campus and you use a search engine to find articles, such as Google Scholar, this situation is not true and you may be denied access. You may be able to type in Brunel, or you may have to choose UK Access Management Federation or UK Higher Education first and then select Brunel from a long list of institutions. 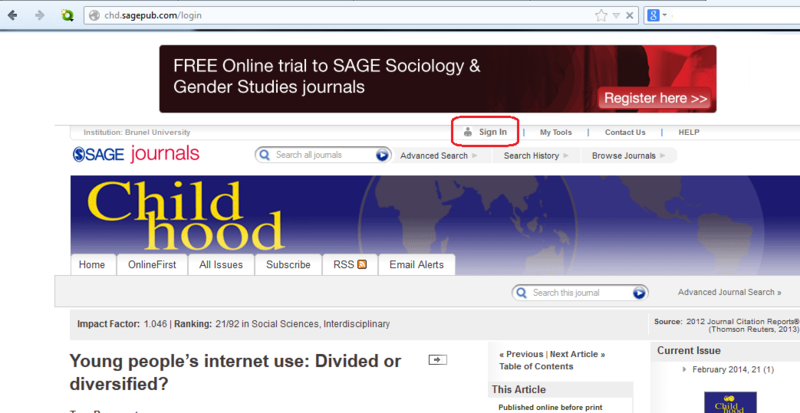 Step 1 - select "Sign In"
Step 5 - sign in at Brunel's end by entering your Brunel University Network username and password and select "Continue"
Alternatively, we also have a browser toolbar called LibX (for Firefox and Google Chrome browser, see link below) which can add contextual links and help you sign in to our online subscriptions. Finally, when you are off campus, we recommend that you use Blackboard Learn to access your reading lists. 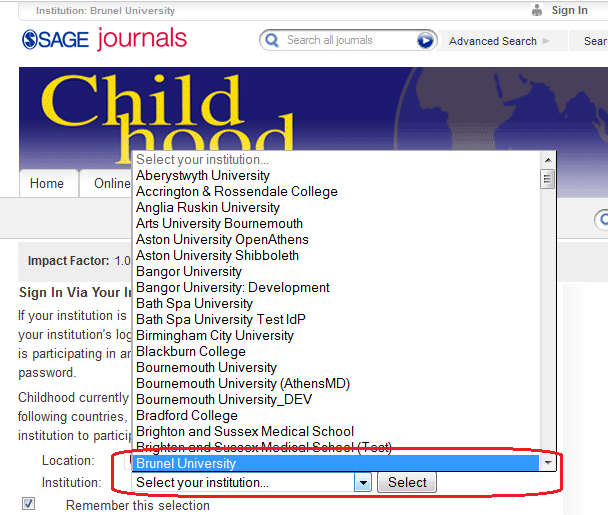 We also recommend you always start your research at the Library's homepage and then use the link "Access resources off-campus", which will take you to Brunel Sign In.